You’ve read the posts, looked at the before and after pictures, and wondered what your disorganized spaces would look like after being put in order. You’ve imagined having an organized home where everything has a place, there are no piles of clutter, and you don’t waste time looking for things. Maybe you’ve tried organizing on your own without success. You’ve considered finding out what an organizer could do for you, but for months, you’ve just kept on scrolling through your Facebook newsfeed. And now with the holidays right around the corner, your To Do list is out of control. So how in the world could this be the perfect time? Your family and friends are asking you what they can buy you for Christmas, and this is a great idea for your wish list! I have a Holiday Special running until the end of the year. You can get one 3 hour session of organizing for $100 (normal price is $120). The session can be scheduled anytime in 2018. Even if you can’t schedule the first session until the beginning of the year, you will be hopeful because you are taking the first step. My schedule will get very busy at the beginning of the year because getting organized is one of the top New Year’s resolutions. The earlier you can get scheduled to get ahead of this rush, the earlier your home will be organized! Organizing is more than just cleaning up a space. I can help you set up systems for keeping them that way. Don’t take it from me. Listen to my clients. Here are a few things my clients are saying about my services. So what are you waiting for? Contact me today, and let’s get started. An organized home and an organized life await you! 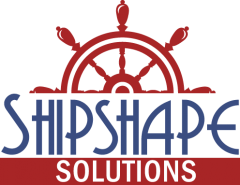 Previous Previous post: Why “Shipshape Solutions” ?